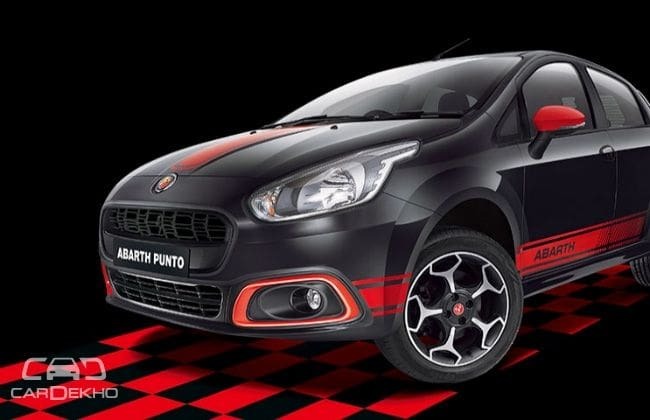 Fiat-Abarth has launched the most powerful vehicle falling in the sub-10 lac bracket in India. Until now, this country has not witnessed a vehicle featuring power close to 150 bhp and costs just a whisker short of 10 lacs. History has been made! Unlike the Abarth 595 Competizione, Abarth Punto is made in India and is priced very aggressively. So let us see what has changed over the stock Punto EVO along with the official photo gallery from Fiat India. Aesthetic Upgrades - It just doesn't do what hot hatches do, it also looks a hot hatch! Apart from these it carries the regular Punto EVO features - dual-stage driver’s airbag, passenger airbag de-activation, follow me home headlamps, rear AC vent with floor level air circulation, ambient lighting etc.